To get a fuller picture of how returning athletes might fare this year, I used lists of the Top Returning 5K Boy Runners, the Top Returning State Championship Performers, and the Top Returnees for 800m, 1600m & 3200m to rank athletes based on consistent performances over the past year. We continue with Division IV Boys and are working down to Division I Girls. Returning to Division IV are several boys putting in serious work over the summer. While only Jordan Black (North Phoenix Prep, Jr.) ran under 16-minutes for 5K, there are a handful of others who could join him this season. Meanwhile Talon Smith (Joseph City, Sr.) has won two State Titles, one in cross-country and another in track, over the past year. Another State Champion who is just as likely to contend this fall, is Adam Whitehead (Arete Prep, Jr.) who ran sub 10:00 for 3200m and won the D4 Boys 3200m at the State Meet in May. So, the real question to circle a favorite for the Division IV individual State Title will have to wait until we see these guys race this season. *Special Note: Please understand that these previews are meant only to profile some of the top teams and athletes in each division and are by no means as a way of excluding certain teams/athletes for any reason. Civil discussions on subjective rankings are encouraged and embraced. Comment with anyone you think we left out and please send any private questions, comments or concerns to igaribaldi@milesplit.com. 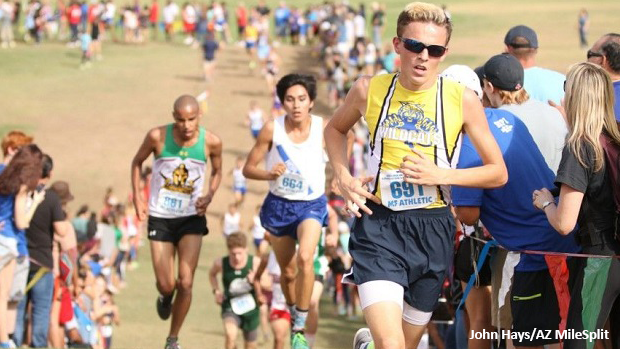 Here's our subjective list of Division IV Boys to watch over the 2018 cross-country season beginning with a few honorable mentions.